Steam Trains - Longmead House Bed and Breakfast, Lynton. Guest House in Exmoor. Just a short distance from Longmead House Bed and Breakfast in Lynton you have the choice of 2 fantastic steam train railways to visit. 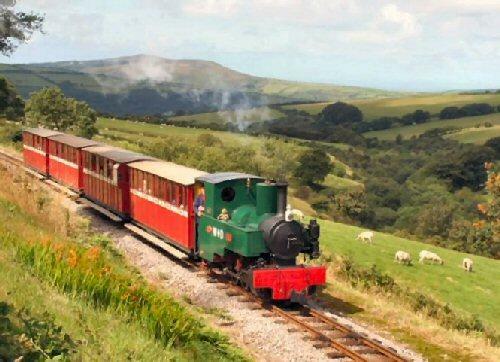 The Lynton & Barnstaple Railway opened in May 1898. It was a single track, narrow gauge railway and was slightly over 19 miles long running through the rugged and picturesque area bordering Exmoor in North Devon. The railway was subsequently closed down in 1935 and purchased in 1995 with a view to restore the line. Today, you board the train - comprised of restored heritage carriages - at Woody Bay Station and travel to Killington Lane and back on a two-mile round trip behind a narrow-gauge steam locomotive. 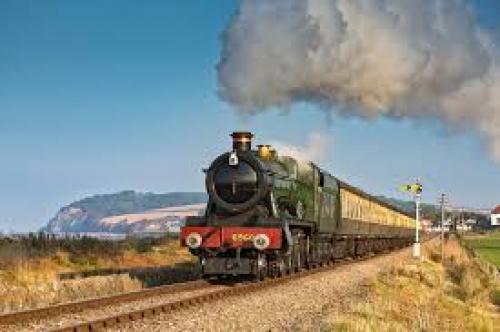 The West Somerset Railway in Minehead is the longest heritage railway in England. The historic steam locomotives, coaches & wagons, and the buildings at the ten unique stations linked by a twenty mile scenic journey will provide you with hours of exploration and fascination.